I really ought to have been ready. After all, I’d been standing by the side of the road for the previous three or so hours. I’d been photographing my friends and their kids, the crowds around me, the caravan as it went past, the tour maker standing next to us…even the police on motorbikes as they whizzed past. So yes, I should have been ready. 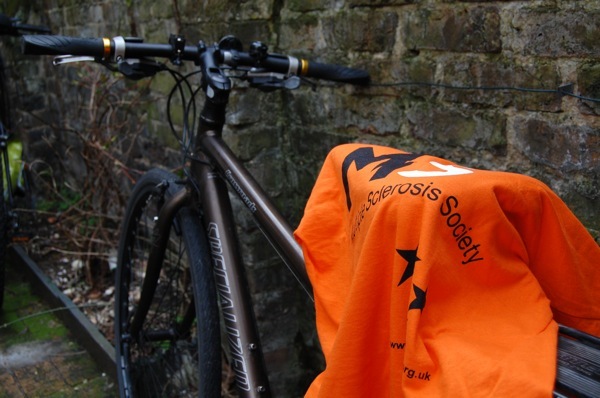 Now that spring is upon us and cycling is once more a pleasure – as opposed to a cold and sodden endurance test – my thoughts are turning to doing another bike ride for charity. I don’t want to do the Nightrider again, that much I know. Don’t get me wrong – I had a fantastic time last year, but recovering from a 60-mile cycle and a lost night’s sleep at the same time is too much for me. I am well into my thirties now, you know. It was while I was talking to Jon of Fresh Fabrications that it all started to make sense. 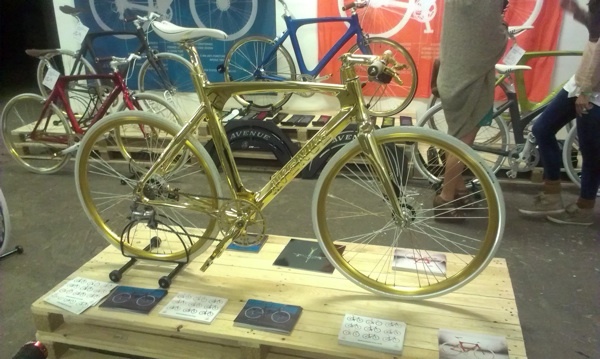 I’d been at Spin Ldn for a couple of hours by that point, and in my wanderings had noted that – compared to last year – there was little in the way of cycle fashion on display. Hold on, I thought. I thought this show was meant to be about cycling and looking good while doing so. Where’s the style? And then Jon said something that made me look at the show afresh. I’d just confessed that the main reason why I’d like a custom bike – not that I can afford one – is so that I could have a bike that looked exactly how I wanted it to look. Rather than turning away in horror at my shallowness, Jon agreed with me. Looks are important, he said. Just like people dress a certain way to express themselves, people want a bike that says something about who they are. Not for the first time that night, I found myself questioning my sanity. It was the early hours of the morning following my birthday; unlike most normal people, I wasn’t dancing in a dodgy nightclub somewhere, or sleeping off an evening’s drinking. 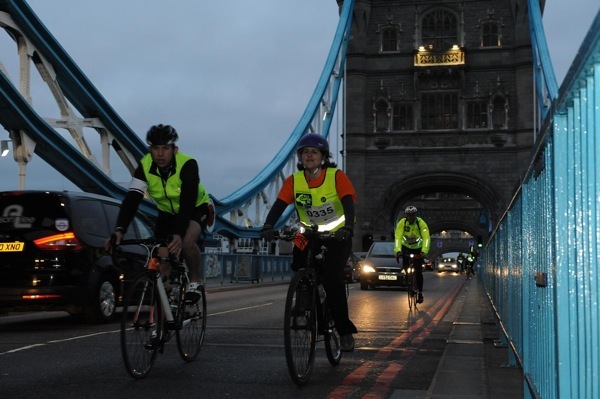 No, I was on my bike, in the depths of south London, taking part in the Nightrider – a 100km sponsored cycle ride around the streets of London, starting just before midnight and finishing sometime around breakfast time. Indeed there wasn’t. 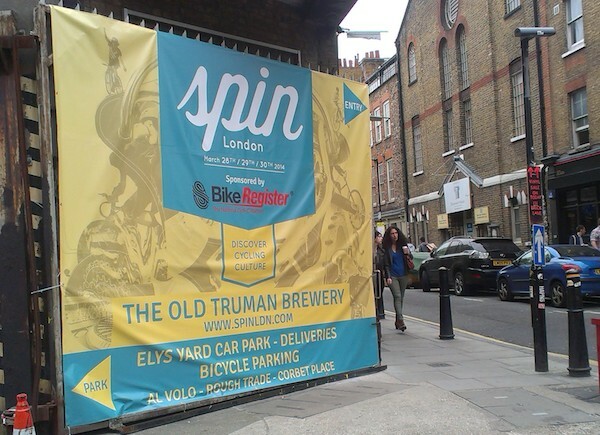 If cycling is to be – to quote Boris – ‘de-Lycrafied’ – then the Spin London show was a big step in the right direction. 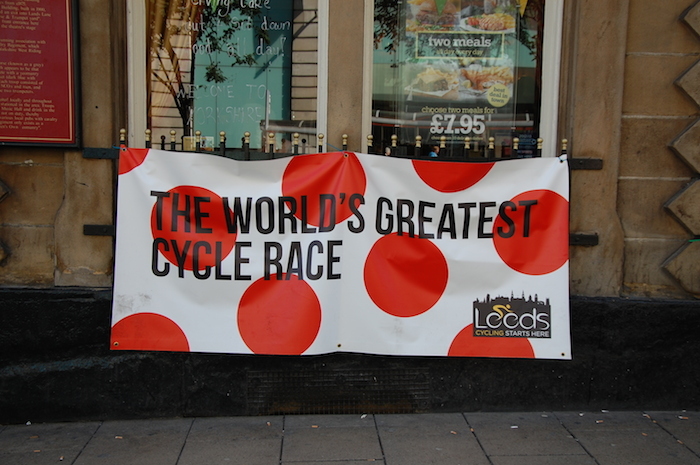 This three-day show, held over the bank holiday weekend, was billed as the world’s first urban focused bicycle show. 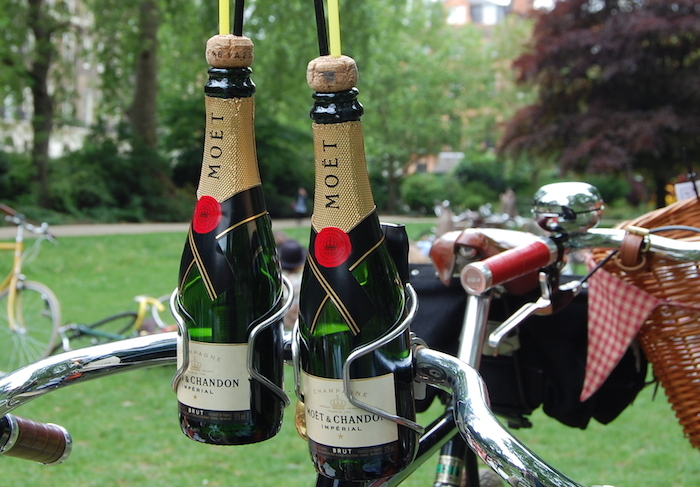 Combining bikes, fashion, art, music, film and more bikes, it was about cycling as means of getting around the city – and looking good while doing so. 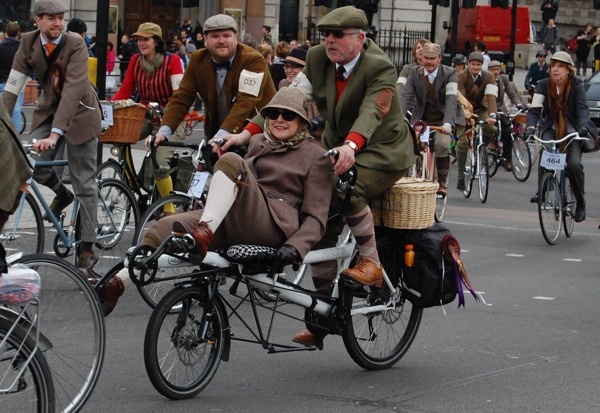 I’ve no idea if that was the actual conversation that led to the first London Tweed Run, in 2009. 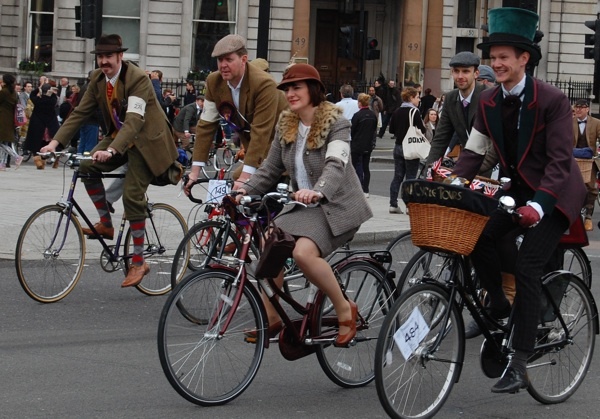 It must have been something along those lines because, as far as I can tell, there’s no purpose behind the Tweed Run other than going for a ride and looking rather fabulous while doing so. As anyone who knows me will attest, I like to make a bit of a fuss about my birthday. I mean, I’m going to be a year older whether I like it or not, so why not go out and celebrate it? Most years I start planning what I’m going to do to months in advance. In some respects this year is no different. Though it’s still two months until my birthday I know exactly what I’m going to be doing. The difference is that this year I won’t be celebrating. No going to the pub, no party, no dinner. No cider, even. At first glance, this could be an art class anywhere. 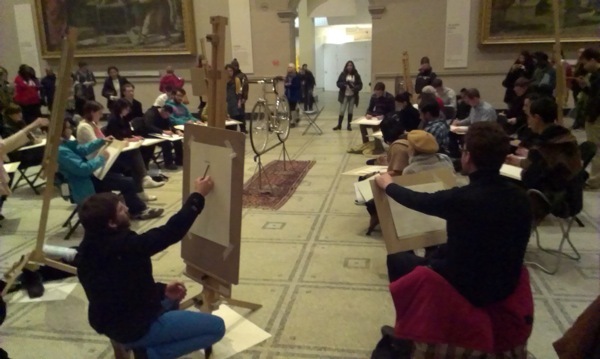 A group of students – some knelt on the floor in front of easels, others with oversize clipboards propped on their laps – sit in a circle around the model. 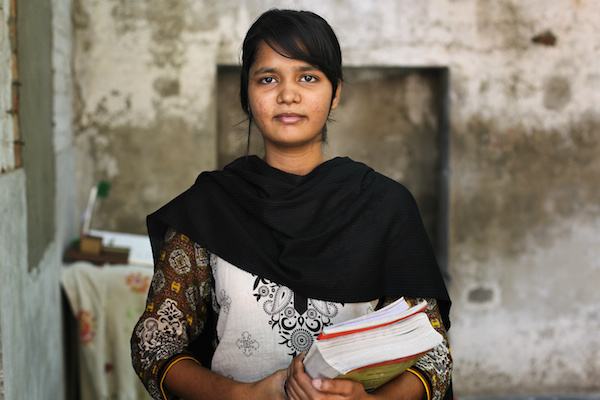 One girl holds a pencil up, eyes squinting, to measure the model’s proportions. Others sketch intently, heads moving in a constant side-to-side motion – model, drawing, model, drawing, model. One or two look around the room as if to say, what am I doing here?